Regardless of who performs the procedure, CoolSculpting® treatments are all the same, right? False! There are many variables that can make a significant difference in your body contouring results. Our board certified dermatologist, Dr. Deborah H. Atkin, is highly experienced at utilizing this innovative technology with skill and precision, helping you to achieve the outcome you desire most. The CoolSculpting® process is not as simple as placing the machine on the area of concern and pushing a button. To create a smooth, aesthetically appealing body contour, it’s important to blend the fat-reduction effect in the treated area with the surrounding tissue. This can be achieved using massage, additional treatment methods, and careful procedure planning. Practitioners who skip this all-important step could potentially leave patients with a bumpy, uneven shape. Those aren’t the curves most individuals are seeking! 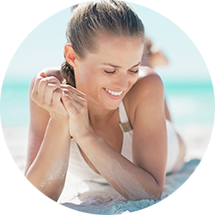 In addition to using the CoolSculpting® device the way it’s intended, Dr. Atkin also incorporates other technology, such as the ZWave PRO, as needed to obtain the best possible results. 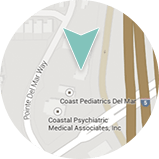 Every treatment plan is fully customized to suit your needs and goals, so you never have to worry that you’ll receive cookie cutter treatment that leads to a cookie cutter shape.